Baripada:18/12/18; Protesting cancellation of North Orissa University as UPSC coaching centre and demanding filling-up of vacant doctors’ posts in the district, BJP today observed a 12-hour band in Mayurbhanj district disrupting normal life. 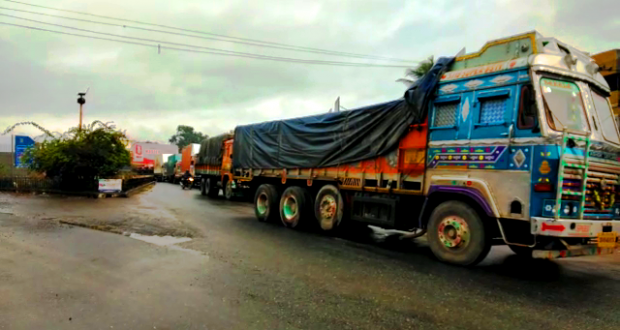 As part of the protest, party activists staged road blockades at various places on NH-18 and 49 bringing vehicular movements to a grinding halt. Several vehicles were seen stranded on both sides of roads due to the blockade. Besides, shops and other business establishments have remained closed with the protesters staging picketing at several places. Shouting slogans, the protesters slammed the State Government for its apathetic attitude towards education and health sectors in the district. They alleged that around 220 doctors’ posts are lying vacant in the district and demanded immediate steps for filling the vacancies. They also protested transfer of 46 doctors from the district. The agitators also threatened to further intensify their stir in coming days if their demands are not fulfilled at the earliest.